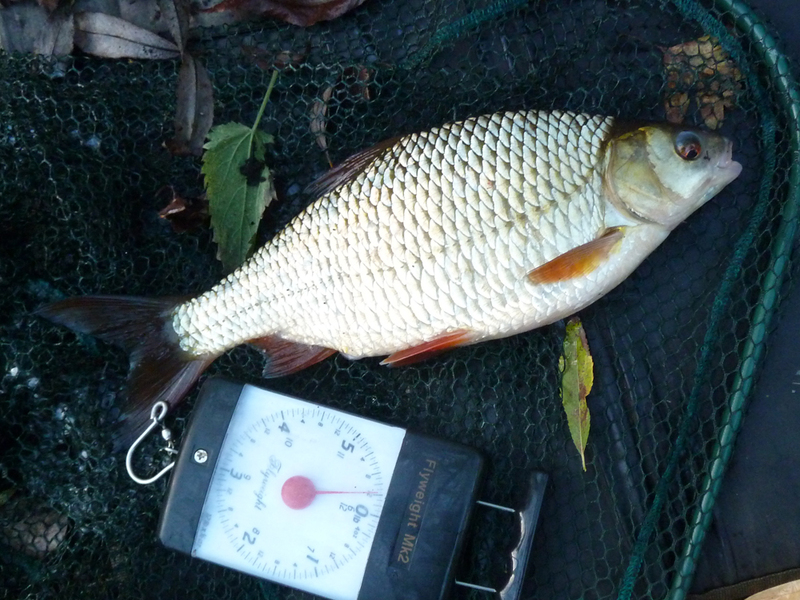 When I started this season's PB Challenge one target really stood out - and for once it wasn't a pike - I really want a 2lb roach! Yeah - I blame you James!! I was trotting for chub back in the summer when I spotted a shoal of roach, I cast to them and the biggest one nailed my bread flake - size 12 hook to 4lb line, so the odds were in my favour - so I was gutted when it shed the hook right at the net. I don't think it was a two, but still a big roach. The shoal had disappeared, and although the river is a pain to get to I've been back a few times for look - no sign of them. With the recent rain I went back and fished the spot I lost my fish hoping the coloured water would give them more confidence. With no visibility it was a bait-n-wait and I'd almost given up hope when just before sunset there was a little tap tap on the tip... The fish I was after, possibly the same one I lost in the summer - I'd like to think so. 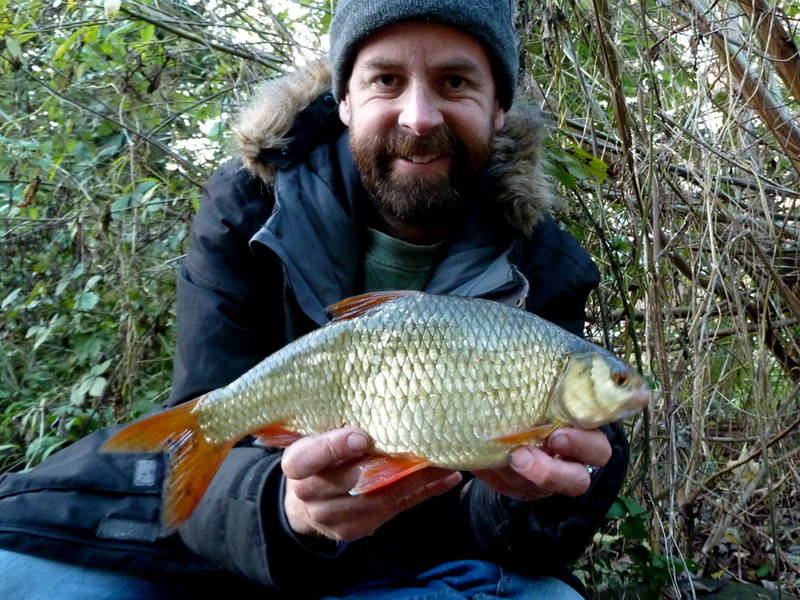 A new personal best of 1lb 14oz - Get in! Corker, that's a real porky Roach isn't it. Love it !! Cheers James, another 2oz added to the PB, getting closer! Catching at least one fish for... every letter of the alphabet? Good start!